You can catch an interview from Rough Edges for BBC Radio Wales, on 30 Jan, listen again on their podcast here for a few days…. After a very positive feature in yesterday’s South Wales Evening Post we had our busiest days trading so far. Thank you for your support and interest. January 2015 Opening Times for sales. These times are also ideal for dropping off suitable donations, (see the guidelines on this web site). 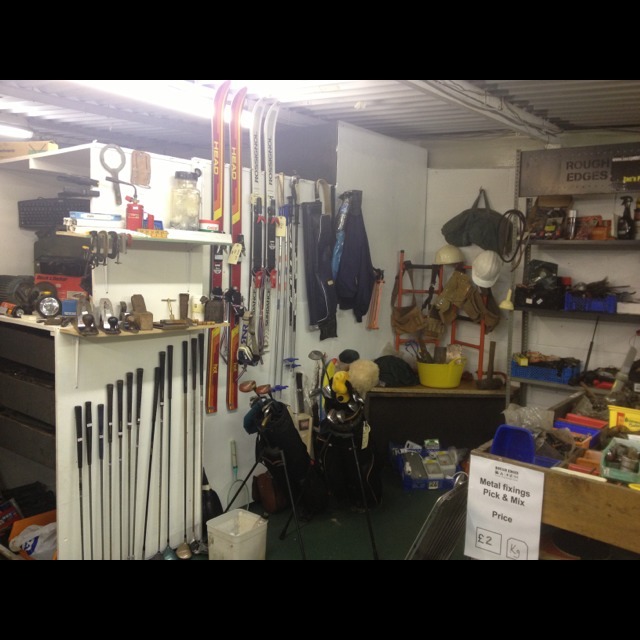 Pressure Washer, lawn mowers, exercise bike, rowing machine,garden hand tools, van ramp for motorcycle, roof bars, golf clubs, strimmers, fixings, small scaffold platform, jerry cans, hand tools, toyota bull bars, skis, builders hand tools, kenwood car audio speakers, odjob hand cement mixer, single drainer stainless sink, Haynes manuals, workshop items …. 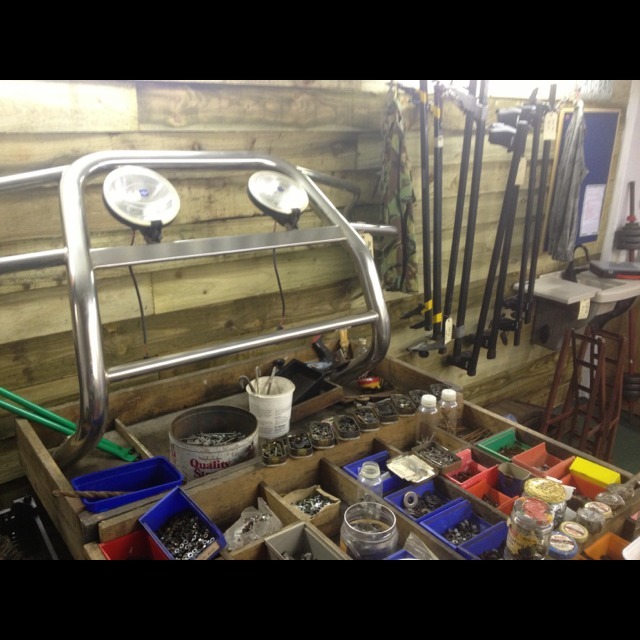 and lots more…. 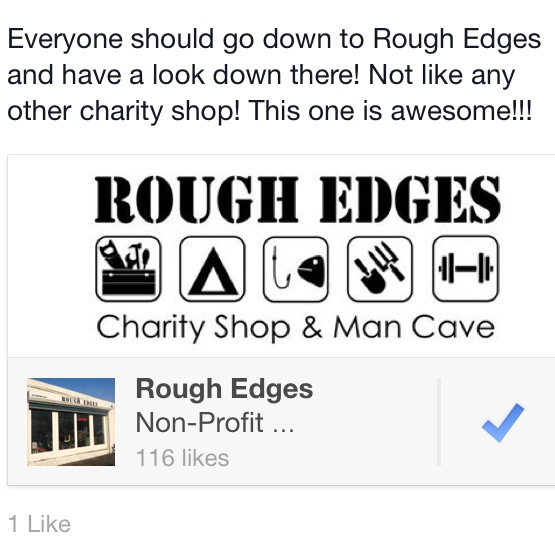 Not like any other charity shop! 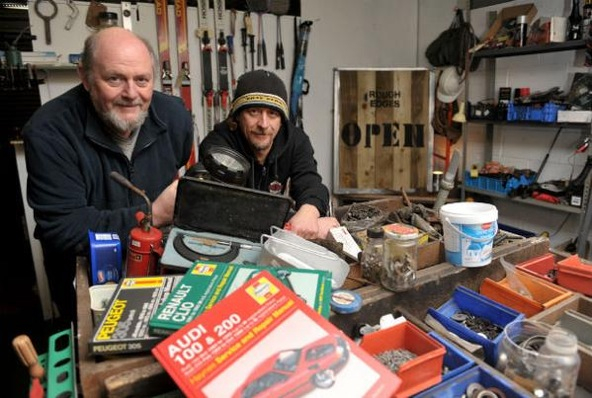 In our initial opening few days of trading we’ve been selling items such as; hand tools, jerry cans, camping mats, soldering iron, strimmer, motor accessories, fixings, garden hoses, pasting table, tile cutter and wall tiles … Come and take a look and see what we have or why not take a look in your shed and see what you can donate. We’re Open this week Weds, Thurs and Fri from 10am to 2pm. 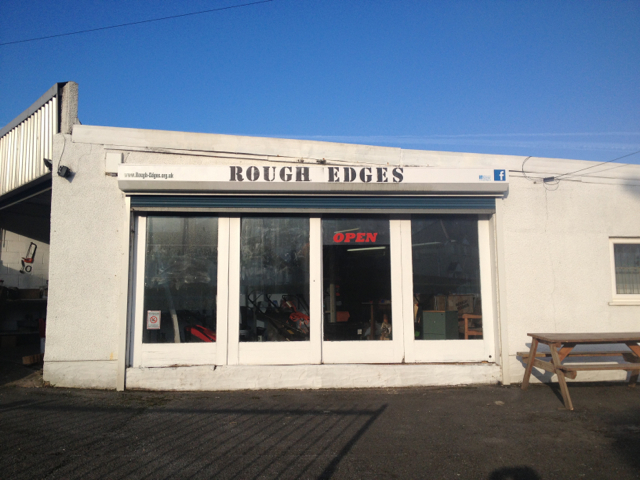 A good opening day at Rough Edges & we shall now be open Weds, Thurs and Fridays from 10am – 2pm. 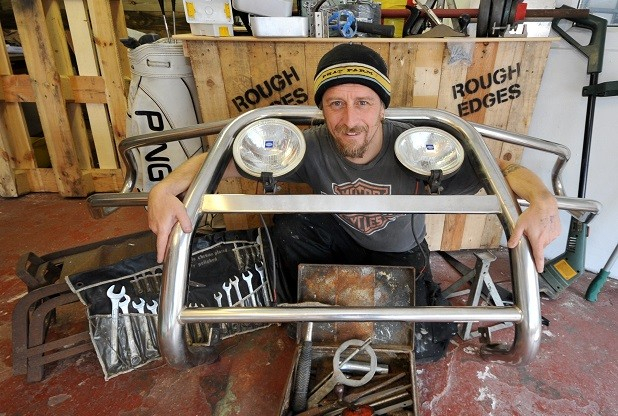 Mike, pictured on the left, will be managing these initial stages. We’re very grateful to him and the others who have been giving of their time and energy thus far. Also pictured are Lloyd and Tam. 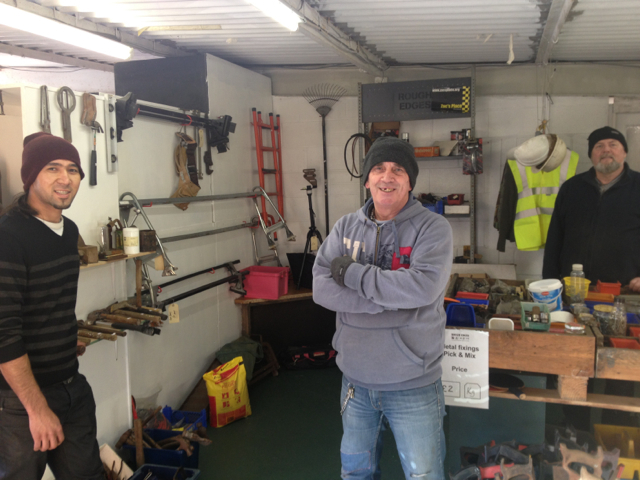 Dave the sparky is also a regular face looking after our PAT testing of electrical items. 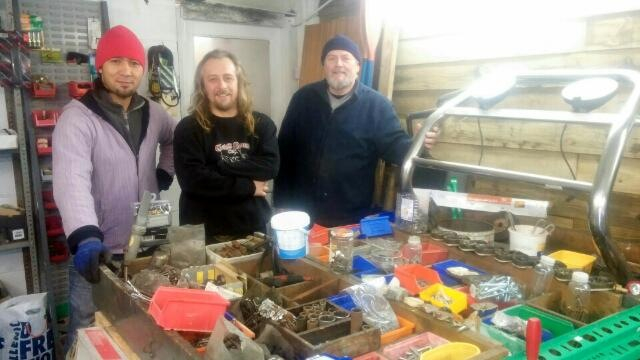 It was great to receive a substantial donation of items today from Tools for Self Reliance in Llanelli and Camarthen, which were surplus to their remit but suit ours. We hope to be able to return the compliment as we receive donated items. 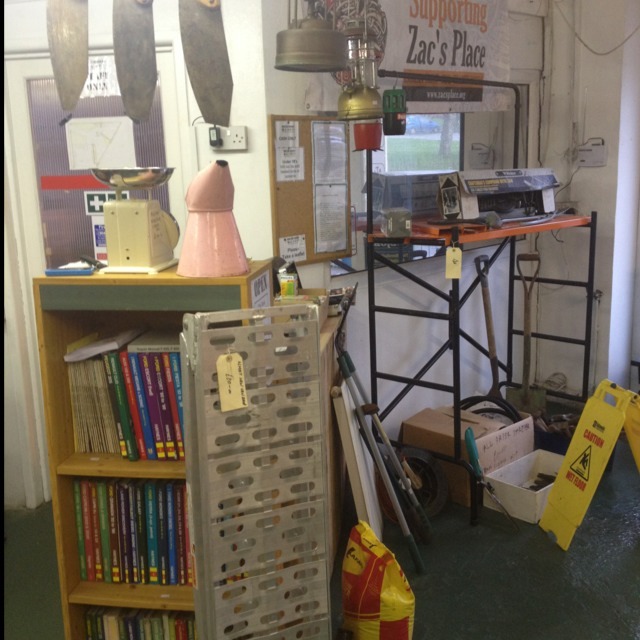 So put the word out – we’re open, looking to sell, looking for volunteers and able to receive suitable items at open times. 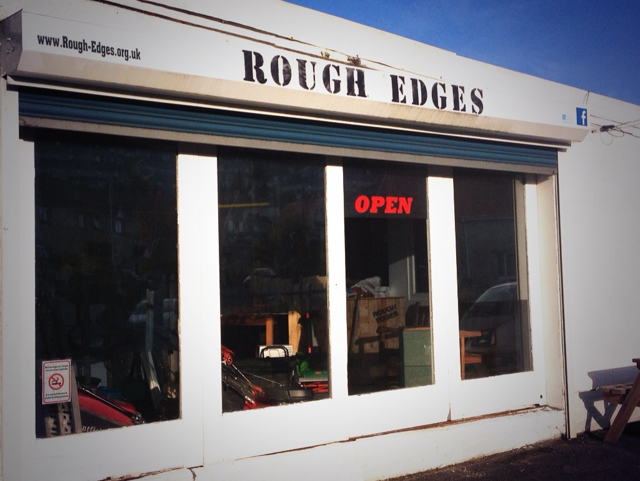 Rough Edges will be opening for the first time on Weds 3 Dec from 10am – 2pm and each Weds following. We also expect to be opening other days when volunteers are confirmed. 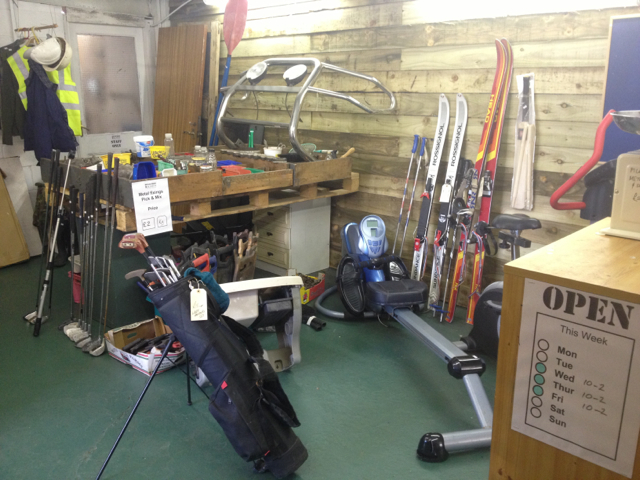 Donations of suitable items, (please check the list), can also be brought to the shop during opening hours. Feel free to call in and take a look – or if you wish, pick up some leaflets to distribute among friends, neighbours and suitable venues. 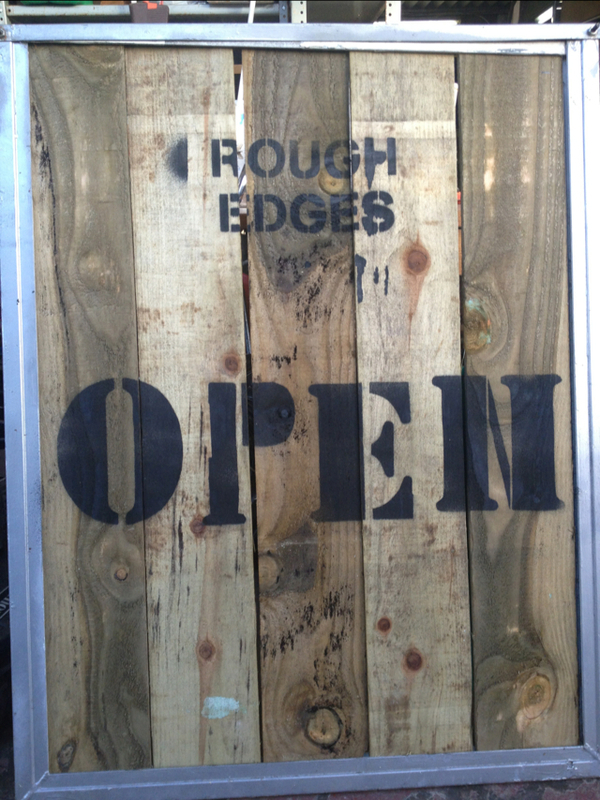 The last few weeks have seen significant progress towards our being able to open. 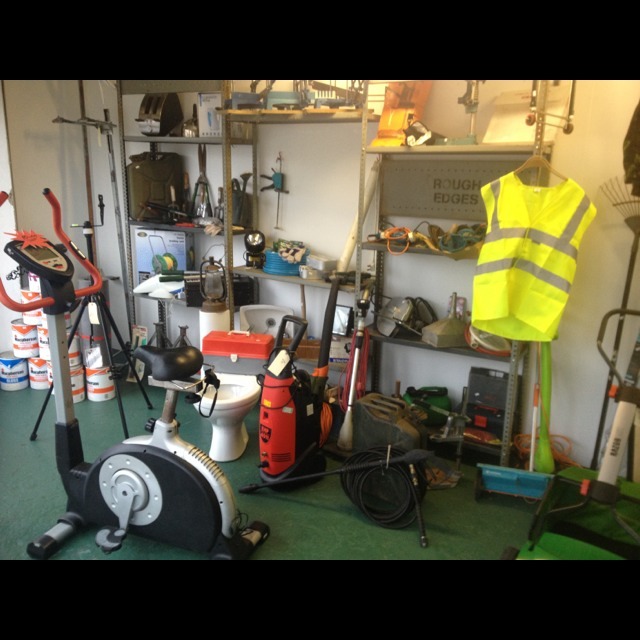 Some great donations of items to sell, a good team of initial volunteers including an electrician who can PAT test stock for us. Opening is imminent! Watch this space. 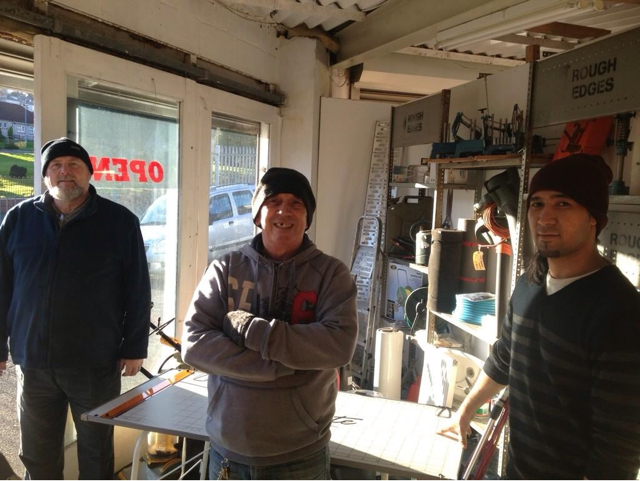 More volunteers required to help in the shop, distribute leaflets and collect items. You can also call in at those times to find out more if you are thinking about volunteering.